Well, we lost another hive. It’s a situation I’m becoming all too familiar with. 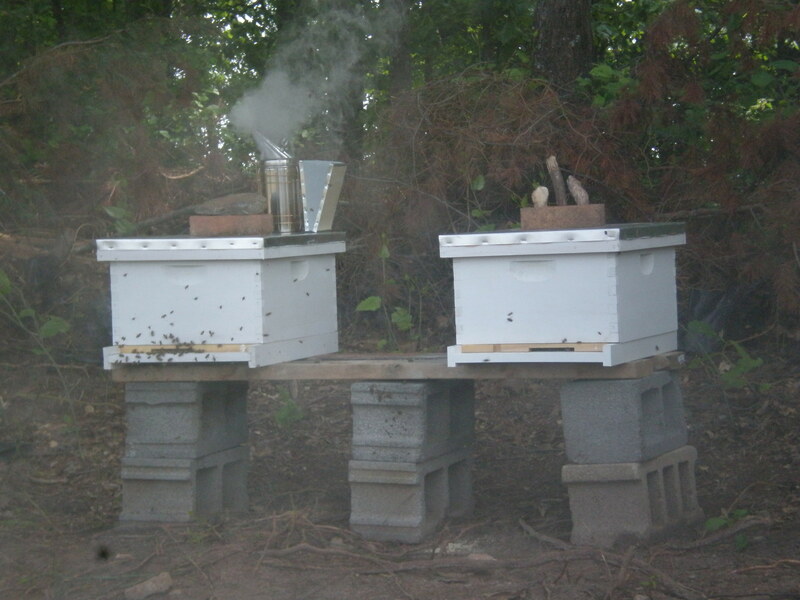 After increasing to eight hives two years ago, we’re now down to three. We lost several hives last winter, one this summer, and one last week. I’m learning a good hive can fail fast. We had a drought this summer, and that was rough on the bees. No rain equals no nectar equals no honey. Despite feeding sugar syrup, the bees never seemed to build up a large population. I’m sure varroa mites probably played a part. So far, I’ve taken the “head in the sand” approach to varroa, hoping that the tiny mites weren’t there or that our bees, which we caught from swarms, were somehow more resistant than normal bees. But, in my gut, I know varroa is there and playing a part. 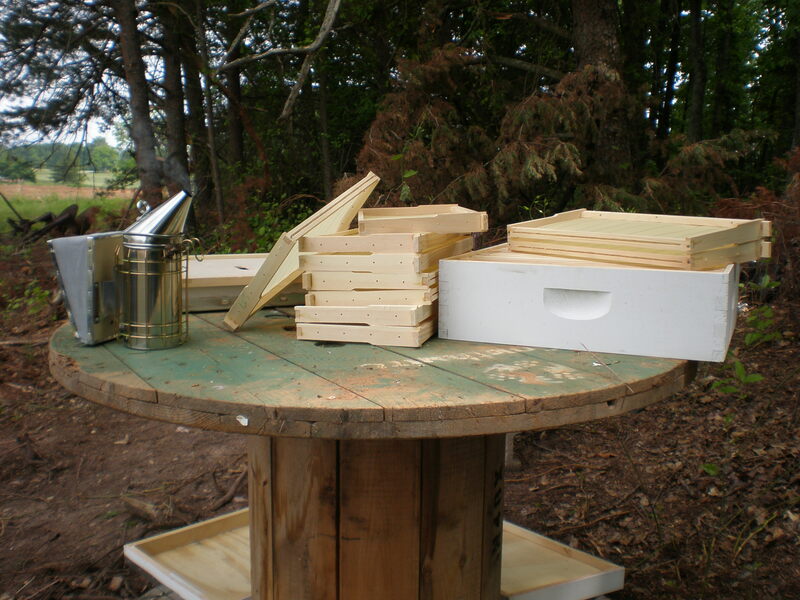 We had a booming hive last spring that collapsed this summer. That’s a classic varroa sign. And to make matters worst, we not only lost all the bees, but we also lost their comb because wax moths (another pest) destroyed it. A lot of people have had success with the treatment-free approach for varroa, but obviously I’m not doing something right. This year I’m going to monitor mite levels and treat if need be with essentials oils, like thymol, and natural acids, like oxalic acid. Overall, I just need to do a better job taking care of the bees, from feeding them (sugar and pollen) in times of dearth, to monitoring mite levels, and checking for queen productivity. Natalie is helping me now; she has her own bee suit. Having a second pair of hands while checking hives has made things a lot easier. If the three remaining hives make it, I’m going to try my hand at grafting and raising queens to increase our number of hives again. It’s disappointing to lose another hive, but hopefully we can learn from it and become better beekeepers. I know it’s no fun to keep losing bees. 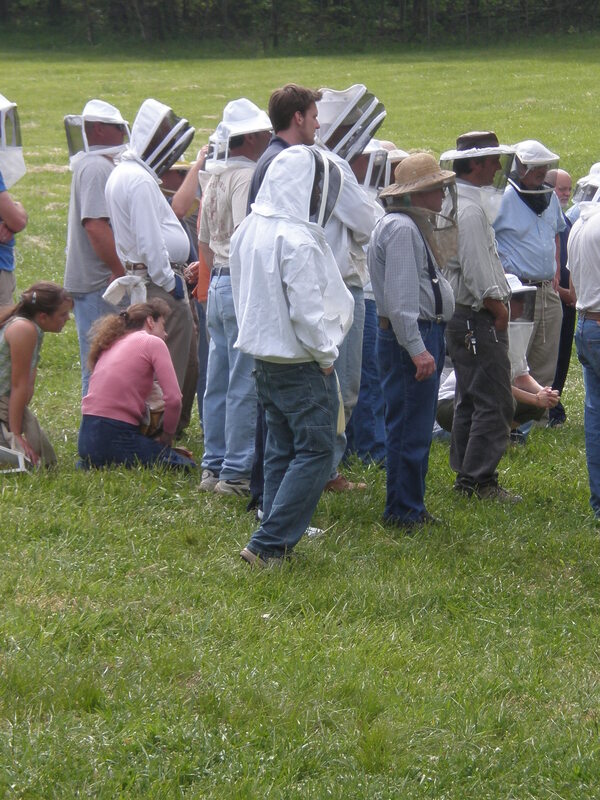 Recently, North Carolina’s head apiarist visited our local beekeepers’ meeting. 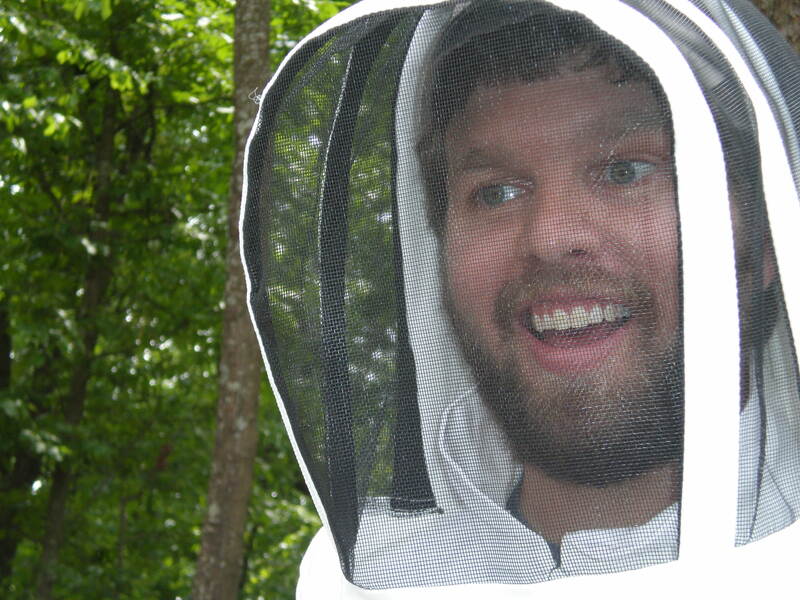 He had a monkish, Mr. Rogers-like calmness about himself, which I suppose is one reason why he’s such a good beekeeper. 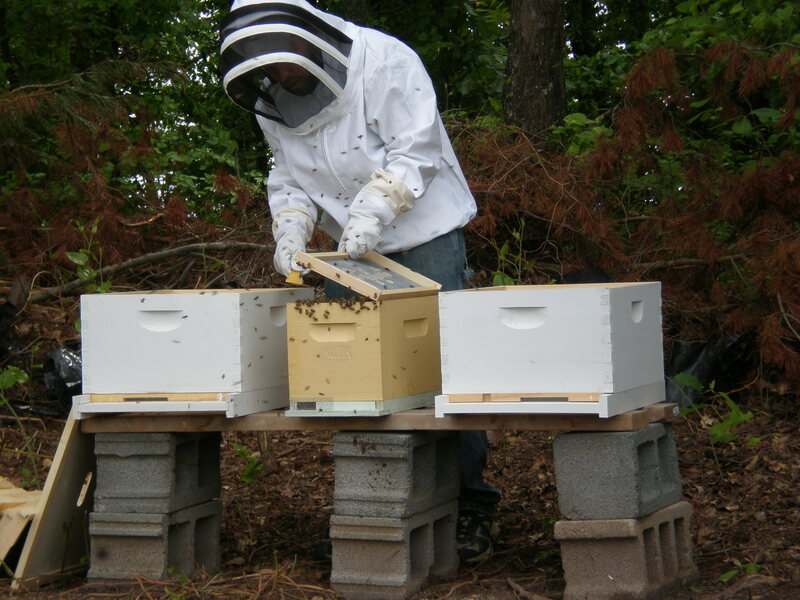 When examining hives he didn’t wear a protective suit, veil, or gloves. He didn’t seem the least bit afraid. So far I’ve yet to develop this calm confidence around bees. Although I’ve graduated to glove-less beekeeping, I sometimes shelter my hands in pockets when bees finally take interest in me. Ironically, it’s never the bees that buzz loudly around my body that sting me. These bees are just hoping to irritate me enough that I’ll leave—they’re all bark but no bite. The ones that get me give no warning. They just make a “beeline” to me and thrust their stinger in. Once stung I usually lose all self-respect and run away flailing and flapping, after which I put gloves back on. When one bee stung the head apiarist, he didn’t even flinch. He just calmly removed the bee and went about his business. I guess it’s the unpredictability that gets me flustered. A sting doesn’t hurt that bad, but I can’t foresee when one of those suicidal bees will take aim at me. And once one stings me, I become even more worried that I’m about to be popped again. Since I’ve started keeping bees, I’ve been stung three times in five months, and I usually inspect the bees once a week. This means I’ve been stung three times in about twenty inspections. Unfortunately, it’s the 15% I remember, not the 85% in which I’ve escaped unscathed. Of course, worrying about stings does no good. I’m sure bees can sense fear and anxiety somehow, and I know if I remain calm the bees are more likely to as well. Perhaps one day I’ll develop a Mr. Rogers-like persona around bees, but for now I’m more like Sir Robin in Monty Python: I bravely runaway. We spent a hot, happy July 4th doing something entirely new and different. 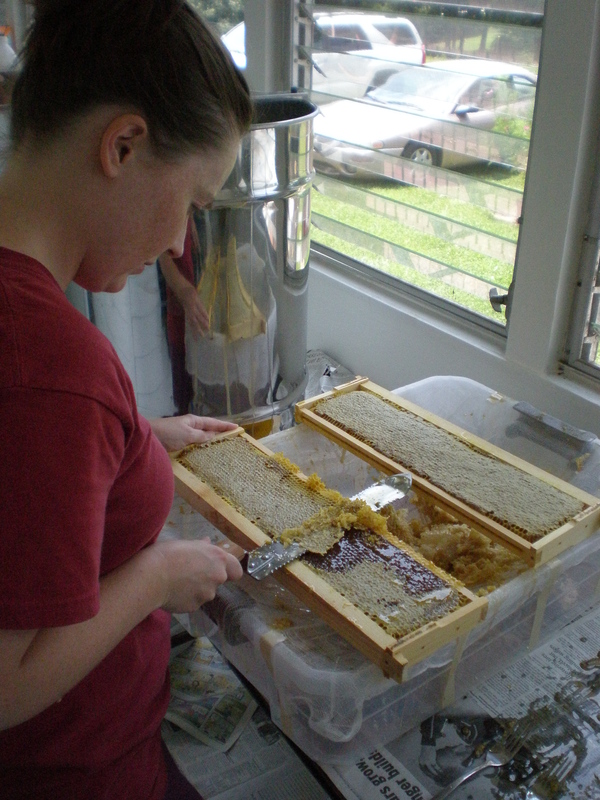 This year we extracted honey from two of our three bee hives. To be honest, I wasn’t really sure what to expect…beyond getting sticky…but it ended up being a lot of fun. 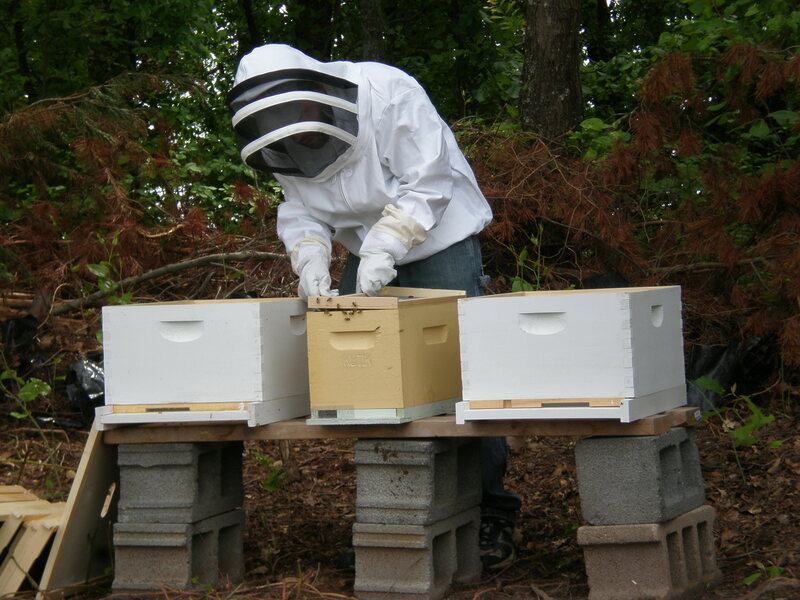 Stephen began the morning suited up in his bee suit and retrieved two hive supers from hives Barney One and Barney Two. Being terrified of the “Barnies,” I faithfully stayed inside and ate a bowl of cereal and watched an episode of Leave it to Beaver. 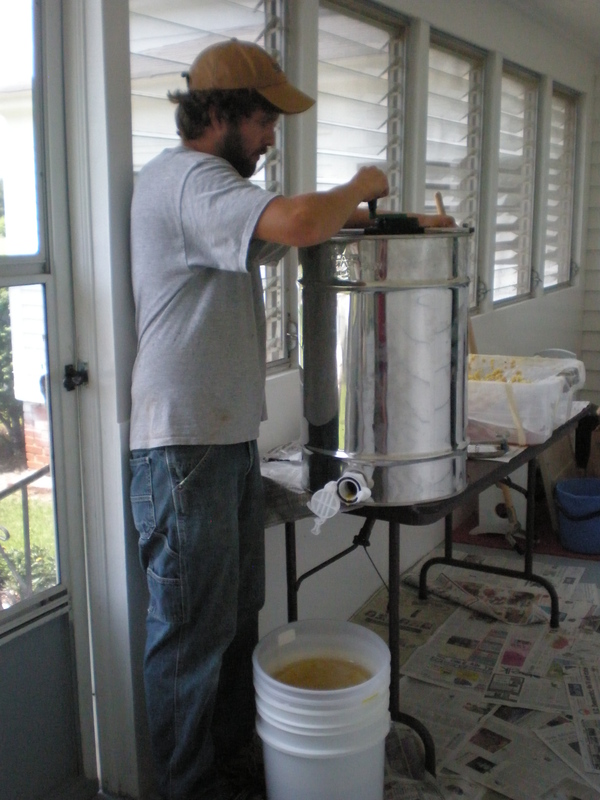 We set up our honey extracting operation on the back porch, using a honey extractor from our local agricultural extension office. 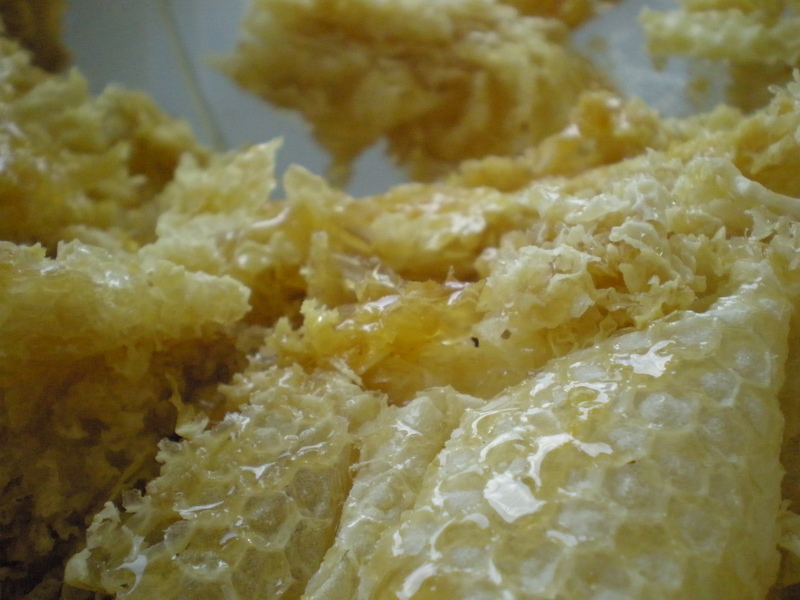 As Stephen brought in the honey frames, I would cut the wax cappings off of the honey comb. 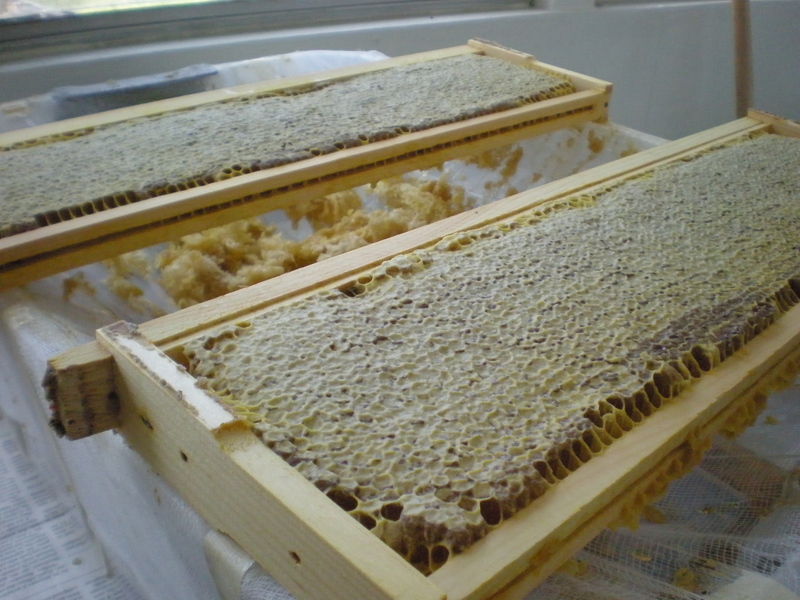 Two frames at a time are loaded into the extractor, which is turned until all of the honey has been pulled from each side of the honey comb. 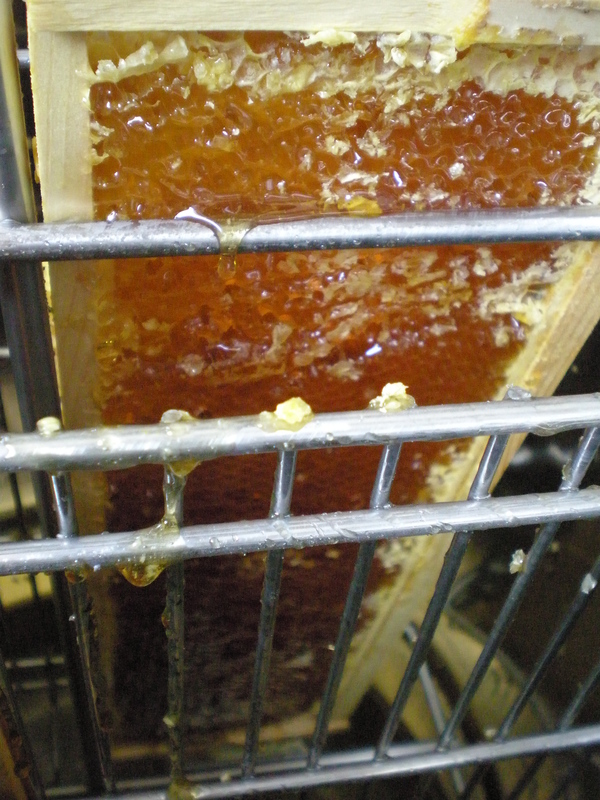 Extracted honey then pools into the bottom of the extractor where it is allowed to drain into a bucket strainer system. Wax cappings are left to drain over cheesecloth for the afternoon. Once they are sufficiently drained we will run the extra honey through the bucket strainer and the cappings will be rendered into refined bees wax. 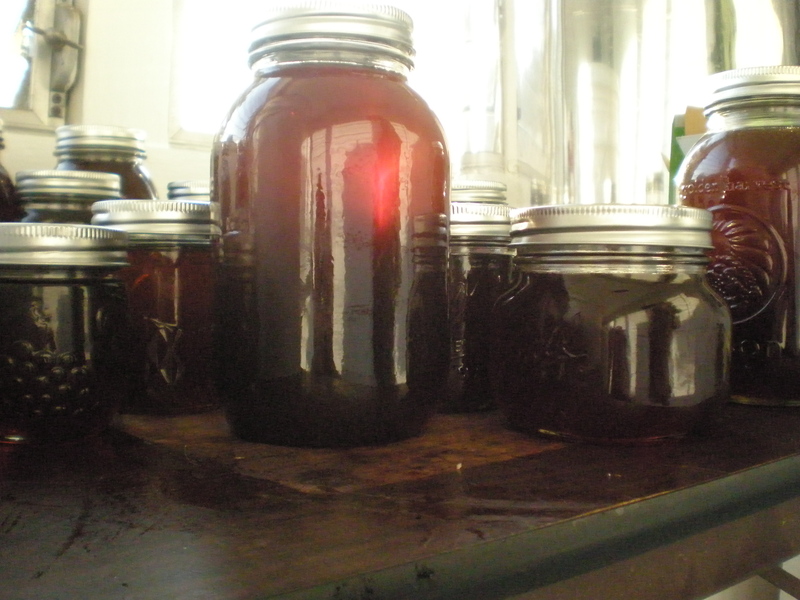 Once the honey has been strained of any impurities (extra pollen, dead bees, and honeycomb) it is ready to be bottled. 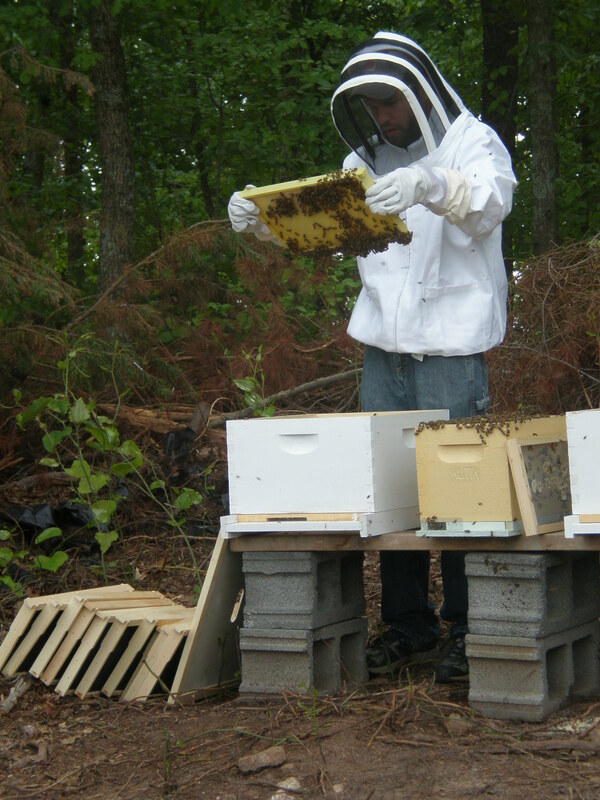 Stephen attributes the dark color of our honey to the local yellow poplar trees, clover, and sour wood trees that his bees have been frequenting. As far as taste goes, its good. 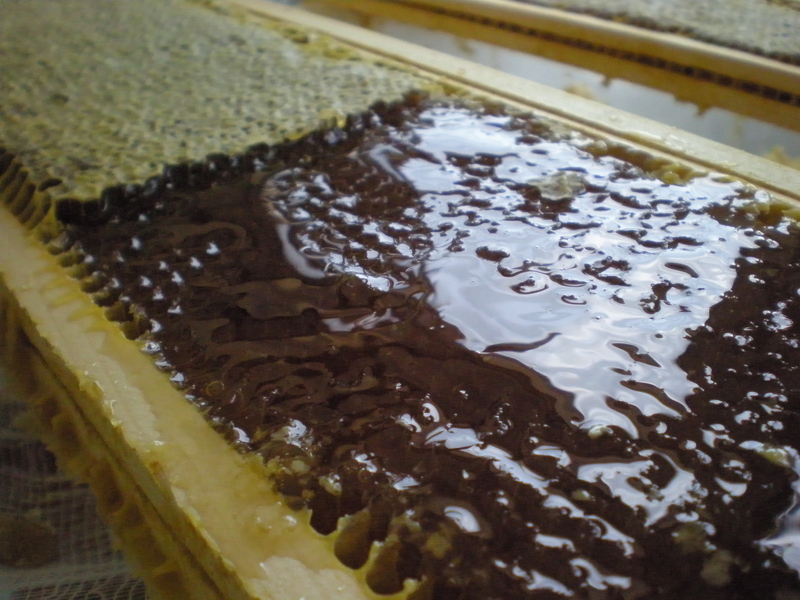 The honey has a mildly floral scent and a pleasant sweetness. Its not overpowering or sickly – its just nice. And this assessment is coming from someone that doesn’t really like honey all that much. We spent from nine in the morning until nearly midnight to complete the entire process – but it was time well spent, once again carrying on a Pleasant Hill bee keeping tradition. We did a lot of hard work, had a lot of good fun, and ended the day with a final product that we can be proud of. With the weekends jam packed, we spend most afternoons working on various things around the farm. 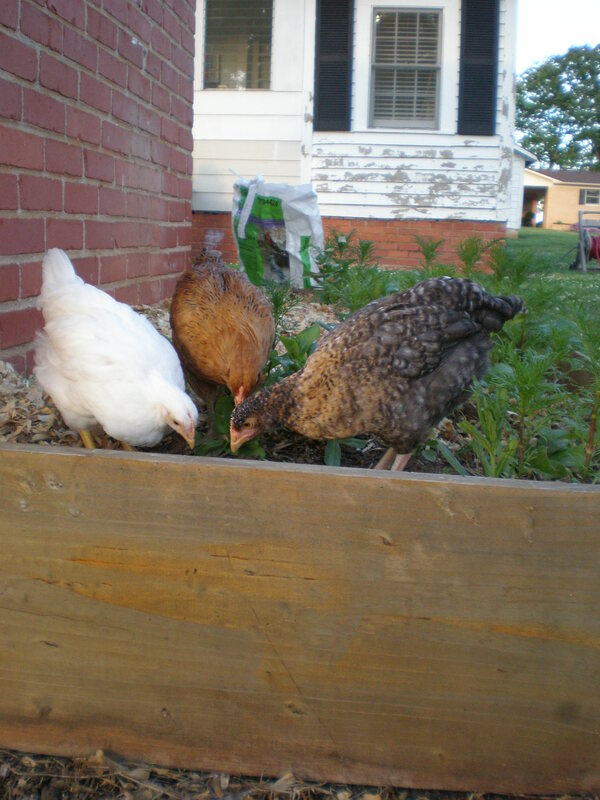 New plants, new chickens, new bees, new paint (which still needs to go on the old house)…..the list of chores is never ending, but we still find time to have a little bit of fun. 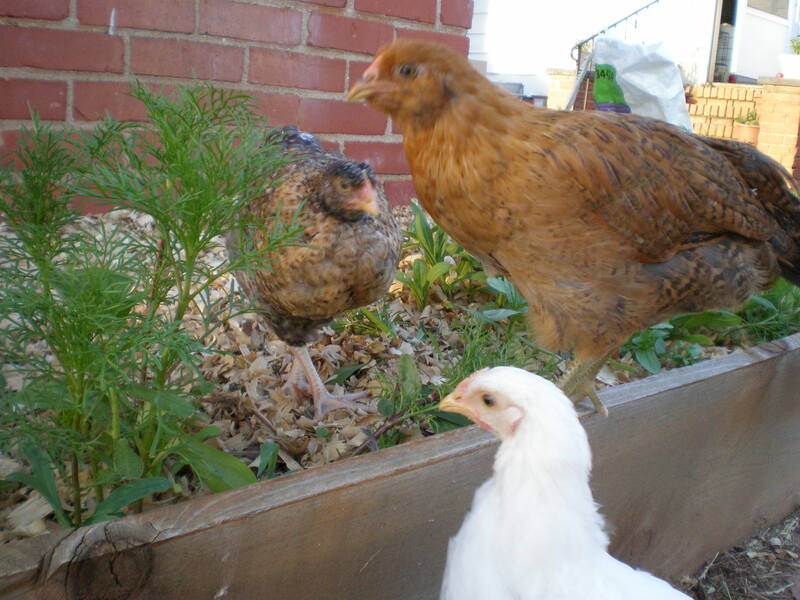 Little chickens are growing up! 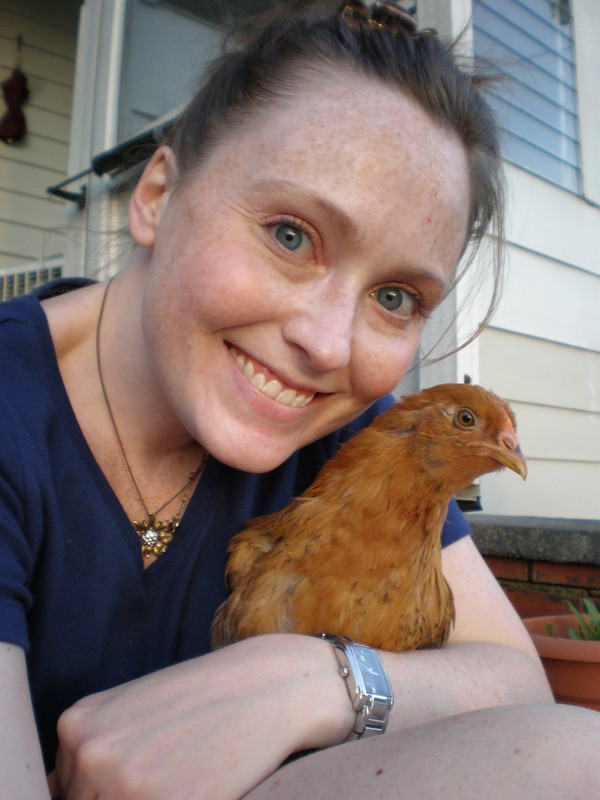 Bees need more gear than chickens! 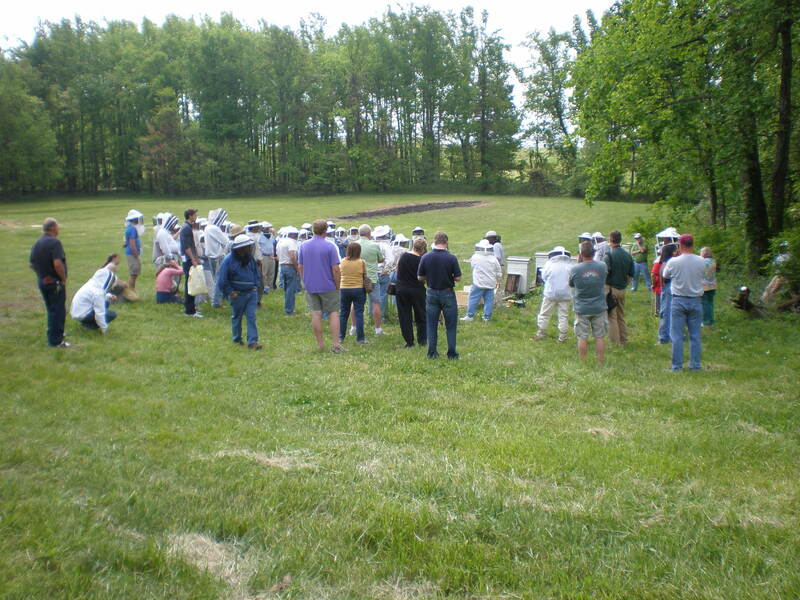 1) There are lots of newcomers to beekeeping, like me. 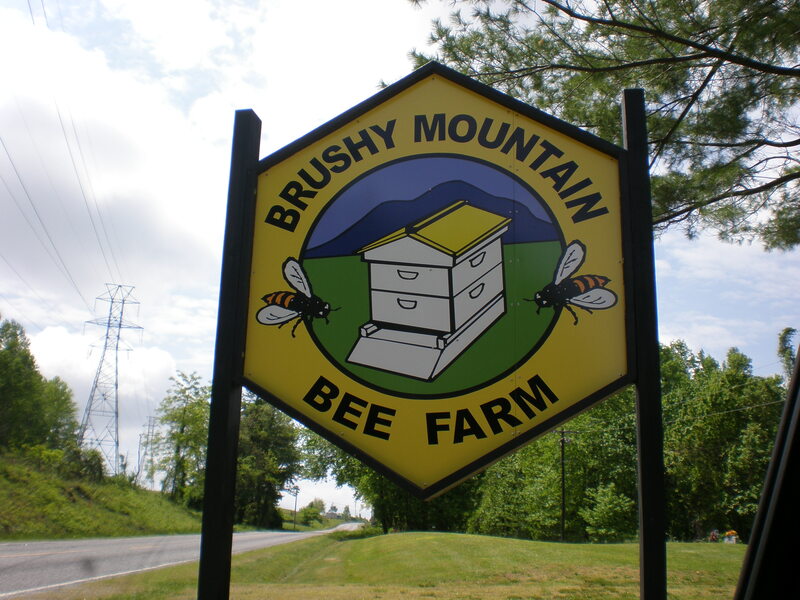 At Brushy Mountain, over half of the people who attended the nuc installation class were new to beekeeping (of course, experienced beekeepers would probably skip the class). It was also interesting to notice the diversity of the class, at least in terms of men and women, young and old. Some attendees were wearing flip-flops and shorts, some Carharts and boots, some capris and ankle bracelets; most of us, though, were wearing veils. 2) Bees are heavy. 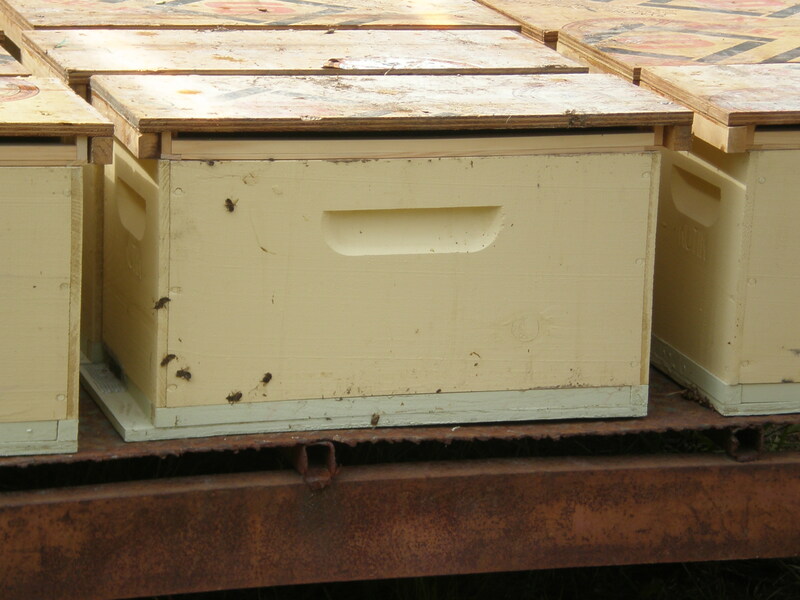 Okay, one bee doesn’t weigh very much, but moving thousands of bees crawling all over honey-soaked frames in a wooden box can give your back a workout. Ahh! What have I gotten myself into! 3) Finding the queen bee in the hive is like finding Waldo in a Where’s Waldo Book, only more difficult because the queen bee is always moving. 4) It doesn’t take bees long to get to work. Within an hour or so, foraging bees were returning to the hive with their back legs loaded down with bright orange pollen. I think they were gathering pollen and nectar from some nearby Chinese Privet bushes, though it’s hard to track a flying bee because they zoom around so quickly. 6) It’s a new age in beekeeping. Apparently, in years gone by, beekeeping (or keeping bees alive) was a lot simpler. 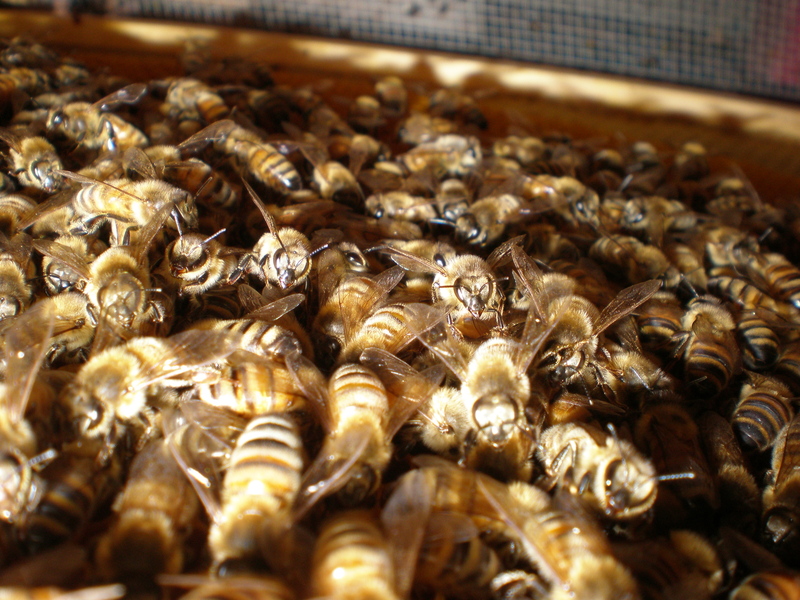 Now, a variety of pests target honeybees. 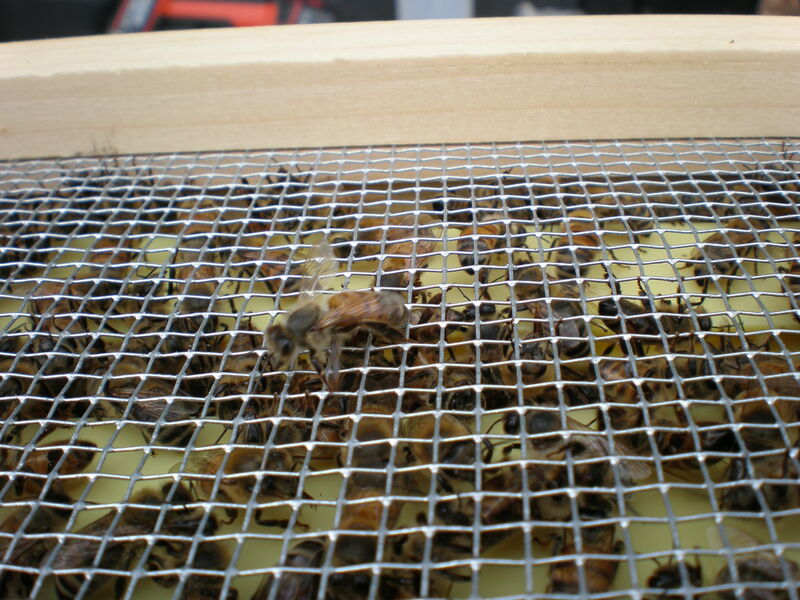 Emptying the nuc box, I noticed one of those pests, a small hive beetle, scurrying around in the bottom of the box. The little beetle looked innocent enough, but I know its larvae can cause major mayhem. The varroa mite (a.k.a. Varroa destructor) is by far the most worrisome pest for hobby beekeepers. It spreads all sorts of honeybee diseases and gorges on bee larvae. A few days after installing the hives, I checked for varroa mites. The hive had a few, but nothing to be too concerned about at this point. 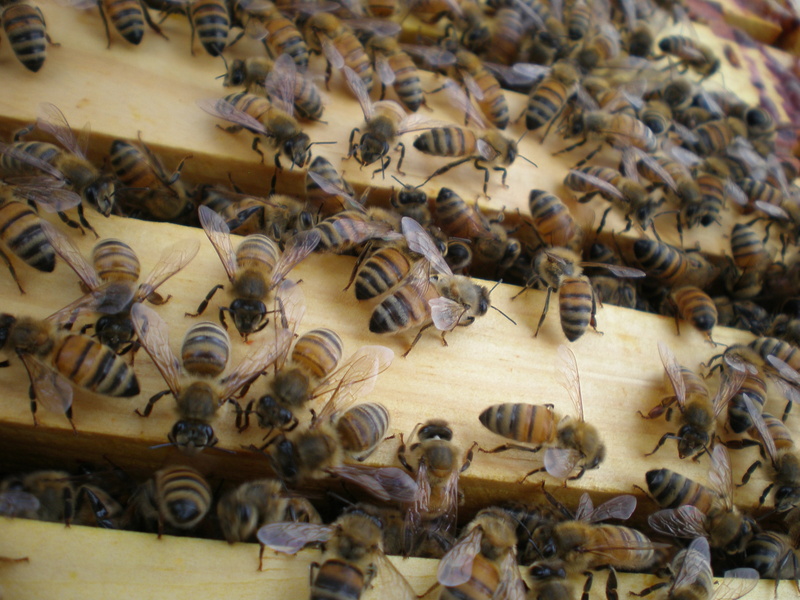 Most hobby beekeepers haven’t had much problem with Colony Collapse Disorder (CCD), which has made lots of headlines in recent years. This seems to be a problem prone to larger, commercial bee operations. 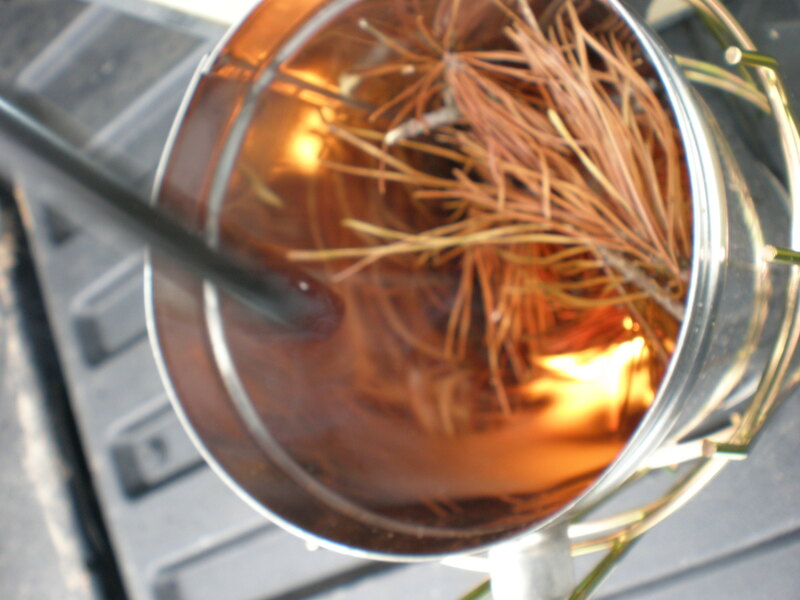 In any event, a lot of new pests are making beekeeping much more challenging. 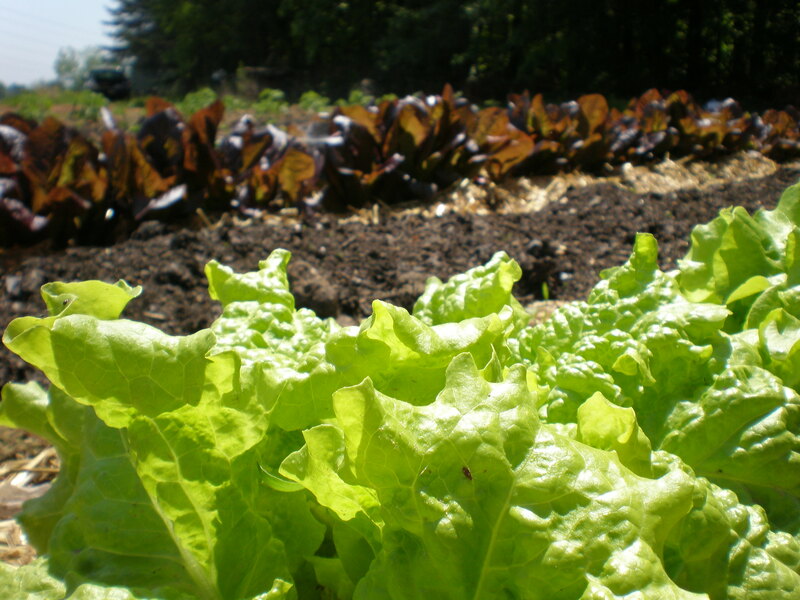 To keep the pests in check, I’m going to avoid using synthetic pesticides and try several more natural methods. Wish me luck.